Grimes, IA (January 23, 2013) – Anime producer and distributor Right Stuf, Inc. and its Nozomi Entertainment division are excited to announce The Rose Of Versailles, Part 1 Limited Edition DVD set will be available on May 7, 2013. The first limited-edition DVD set will feature the series’ initial 20 episodes – housed in a collectible, chipboard art box – with Japanese audio, English subtitles, and English on-screen translations, plus on-disc extras. 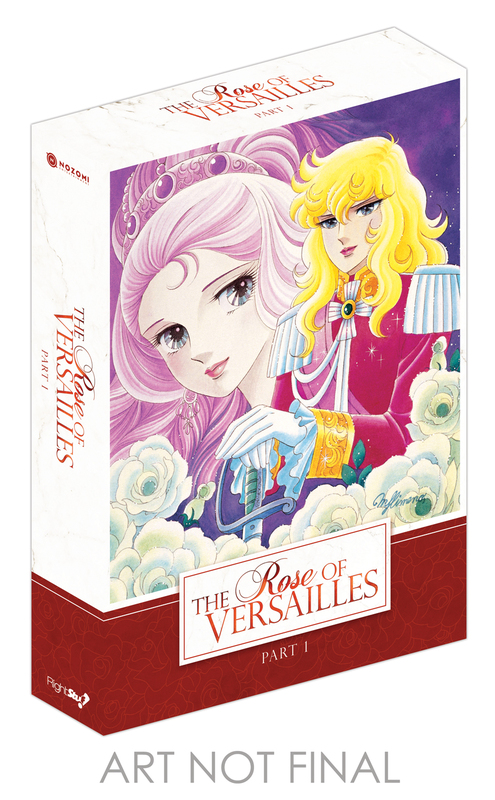 This release marks the very first time The Rose of Versailles, also known as “Berusaiyu no Bara” and “Lady Oscar,” will be available to English-speaking audiences in North America on DVD. 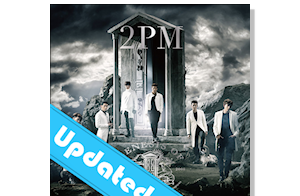 Right Stuf and Nozomi Entertainment are also currently streaming the series via Viki (viki.com). Set during the years preceding the French Revolution, The Rose of Versailles is a tale of romance and political intrigue that centers around Oscar François de Jarjayes, a young woman whose father has raised her as a man – and trained her to be an elite and skilled soldier – so she can succeed him as the commander of the palace guards. The Rose of Versailles is based upon the best-selling manga (comic) by Riyoko Ikeda (Dear Brother, a.k.a. Oniisama e…), which was originally serialized in Shueisha’s shoujo (girls’) anthology magazine Margaret, from 1972 through 1973, and later collected into 10 volumes. In addition to its anime adaptation, it inspired a short story collection (also written by Ikeda), a French-Japanese live-action film, and multiple musicals staged by Japan’s famed Takarazuka Revue. This 40-episode anime adaptation of The Rose of Versailles originally aired on Japanese television from October 1979 through September 1980. It features animation by TMS Entertainment CO., LTD., as well as direction by Tadao Nagahama (Romance Robot Trilogy) and Osamu Dezaki (Nobody’s Boy – Remi, Dear Brother, Aim for the Ace!). Right Stuf, Inc. acquired The Rose of Versailles anime series from TMS Entertainment CO., LTD.
Visit rov.rightstuf.com for more information about The Rose of Versailles, to preview the series and to pre-order the first limited-edition DVD set. General Jarjayes – so desperate for a son to preserve the family name and noble standing – names his newborn daughter “Oscar” and chooses to raise her as a boy. Fourteen years later, Oscar is a masterful duelist, marksman, and the newly appointed Commander of the French Royal Guards. Her first task: to protect Marie Antoinette, who is engaged to the French prince and future king, Louis-Auguste. But even though the planned marriage should provide both countries with some much needed peace and prosperity, the French court is a dangerous place – and Marie’s youthful naïveté makes her an easy target for those who wish to see the monarchy overthrown. Oscar soon finds herself both defending Marie’s reputation from those that seek to discredit her and protecting her life from those that wish to kill her. The first 20 episodes of the groundbreaking anime series! 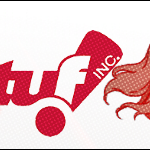 Currently celebrating its 25th year in business, Right Stuf, Inc. was one of the first players in the U.S. Japanese Animation (“anime”) industry, as both an anime producer/distributor and a retailer. 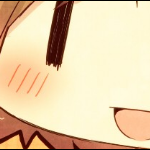 Right Stuf works to promote knowledge of its own products, as well as the anime and manga industry, in general, through its online storefront at RightStuf.com and a variety of media including podcasts and special publications. Its video and print publishing division includes the Nozomi Entertainment, Lucky Penny, and 5 Points Pictures studio-labels. A publishing division of Right Stuf, Inc., Nozomi Entertainment is its signature label, dedicated to high-quality releases for collectors. 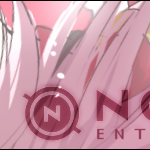 True to the Japanese word that inspired its name, Nozomi’s focus is on “what fans want.” By focusing on a limited number of anime properties each year, the Nozomi production team ensures each release receives the care and attention to detail it deserves. From anime classics like Astro Boy, Kimba and Gigantor to modern comedies, dramas and favorites such as The Irresponsible Captain Tylor, His and Her Circumstances, Gravitation, Ninja Nonsense, The Third: The Girl With the Blue Eye, Emma: A Victorian Romance, Maria Watches Over Us, ARIA, Gakuen Alice, Rental Magica, Dirty Pair, Junjo Romantica and Revolutionary Girl Utena, Nozomi Entertainment releases quality programming for fans of all ages and interests. For more information,visit www.rightstuf.com and www.nozomient.com. About TMS Entertainment CO., LTD.
TMS Entertainment CO., LTD. (better known as TMS), one of the world’s largest and most distinguished animation studios, has rapidly won recognition from the international filmmaking community for its highly acclaimed animation, pioneering techniques and proud commitment to quality. With its headquarters situated in Tokyo under the supervision of a dedicated team of top development, production and design executives, TMS’s growing reputation is reflected by the versatility, artistry and originality of the remarkable volume of programs the company has produced for international markets worldwide. Established in the year 1964, TMS has produced more than 100 features and over 100 TV programming series, in total of 8,000 half hours, for global distribution. 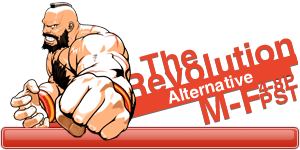 TMS also proceeds with restoration projects of the titles to keep its highest quality for the next generation. TMS is proud to uphold our tradition of presenting to you unforgettable images from the finest animation produced anywhere in the world. TMS’s programs have attained worldwide recognition, and we continue to strive for excellence and lead the animation world throughout the century.